우리는 일요일 백화점에 갑니다. 커피 기계을 사러갑니다. 내 생일 선물이. 사진-- 이것이 커피 기계가 집에서 입니다. 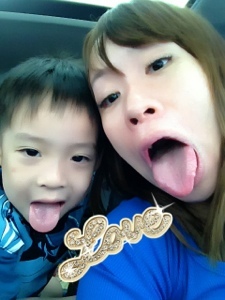 (English translation: We went to CK Tang on Sunday. To buy a coffee machine. It's my birthday present. 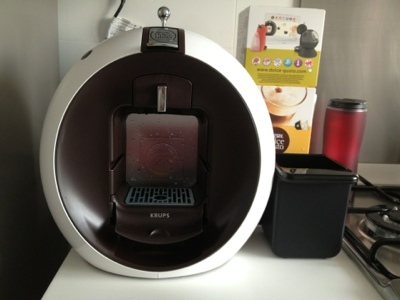 Here's a picture of the coffee machine at home.